Include the tag #CarolTheInternet in your video title and social media posts. Remix or make a medley. Collaborate with friends, family, a non-profit, or co-workers. Everyone can participate! This project is about having fun together with your family and friends online, and in person. Sing a song, make up a dance, dress up in a costume. No idea is too small or too big! #CarolTheInternet was started by the touring cast of Playing By Air Productions as part of their mission to spread laughter and joy to audiences and charities worldwide. Email info@playingbyair.com to learn more about the #CarolTheInternet online collaboration and how to get involved. Learn more about Playing By Air and its mission of "Entertainment that Gives Back" at http://www.playingbyair.com and follow updates on Facebook, Twitter, and YouTube. 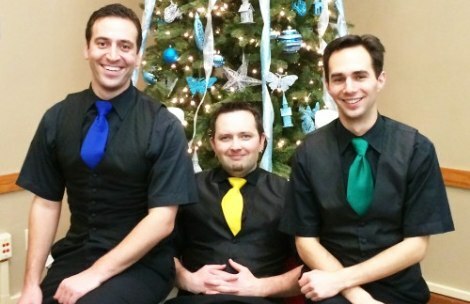 Wishing you Happy Holidays filled with good friends, family, and plenty of laughter. 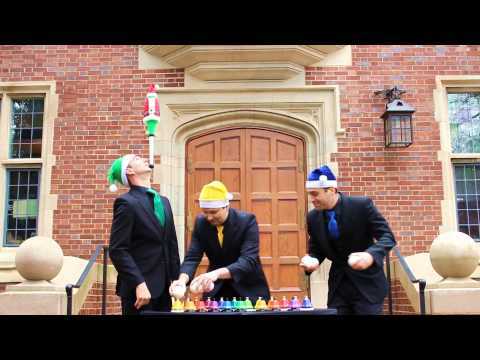 Three guys play Jingle Bells on Cups and Desk Bells... 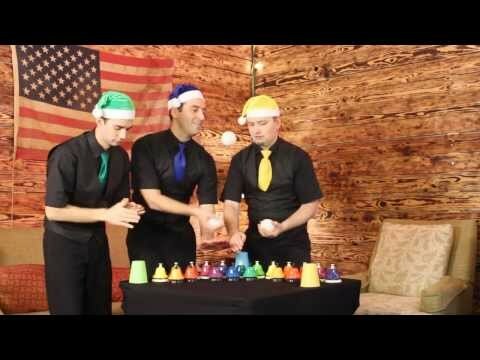 WHILE JUGGLING!